Happy competitors from Team Beam after completing the Portballintrae Ultra Sprint Distance Team Triathlon. Now we all know that the Robinson Services place a great emphasis on training and that the Senior Managers tend to lead from the front when it comes to this important part of the success achieved by Robinson Services in the Support Services Sector. However did you also know that they often outside work put this training into practice in aid of worthy local charities. On this occasion on Saturday 23 June 2018 the challenge in front of Team Robinson Services was the Portballintrae Ultra Sprint Distance Team Triathlon. 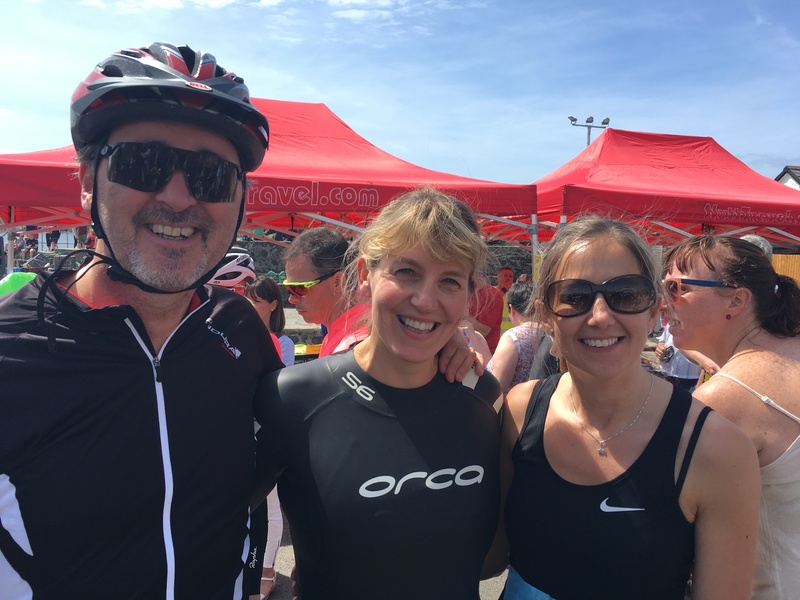 As well as being one of the main sponsors of the 750 metre swim, 20km cycle and 7.5km run Robinson Services decided to go the extra mile – excuse the pun – and enter a team. Team Robinson Services comprised Anthony Best , Managing Director Lacuna Developments, David Robinson , Managing Director Robinson Services and Sinead Sharpe, Human Resources Director at Robinson Services who were competing to raise money for two worthy local Charities- Sports Academy George and Cancer Fund for Children. After weeks of dedicated training it was the day of reckoning on Saturday 23 June and there was no going back. Anthony Best entered the bay at Portballintrae Harbour and swam his heart out for 750 metres before making his way up the jetty and passing on his timing chip to David Robinson. Heading out towards Bushmills onto the undulating White Park Road and turning left just before Dunserverick it was Blood, Sweat and lots of Gears for David. He followed the Coast Road but there was no time for sightseeing as he returned via the descent into Bushmills . It was the home straight now as he pushed his pedals all the way along the Ballaghmore Road to transition and handing their timing chip to Sinead Sharpe. Sinead faced a challenging yet spectacular 7.5km run hugging the coastal clifftop path beyond Runkerry Strand. 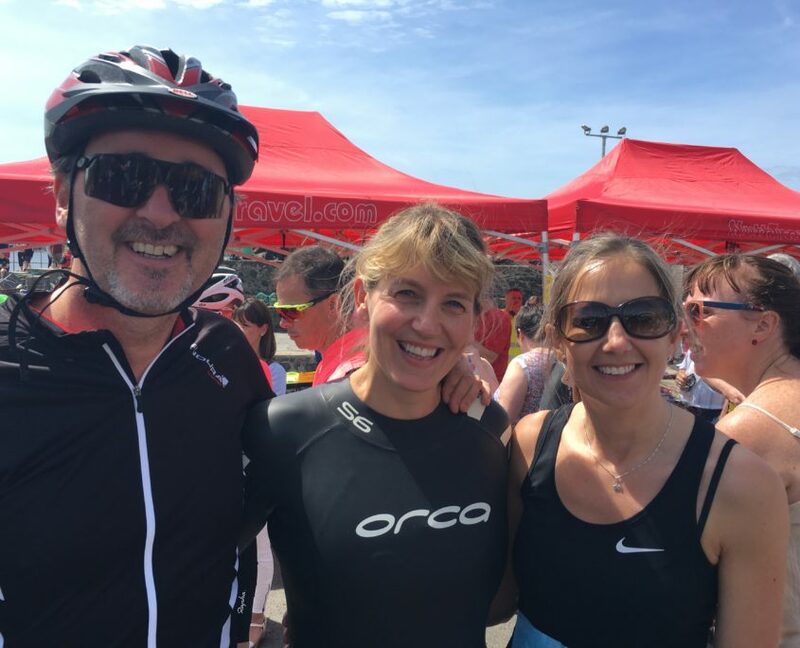 She embraced the odd steep climb with ease and pushed on through the pain barrier as she eventually arrived at the Giants Causeway Visitor Centre. This soon became a place in the distance as Sinead powered on via the tramline path before crossing the boardwalk over the River Bush. Motoring up the hill to the car park Sinead brought her team home in a credible time by finishing at the boat club.